Many Thanks to Joe Conner for recommending this Book. “Sport is extremely popular. This ground-breaking book explains why. It shows that sport has everything to do with our deepest identity. Sport is where we resonate with the most-basic nature of reality. 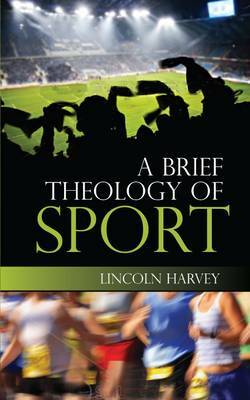 A Brief Theology of Sport sweeps across the fields of church history, philosophy and Christian doctrine to draw the reader into a creative vision of sport. The book begins with an examination of how the Church has approached sport in the past, before turning to consider sport on the basis of the divine act of creation. In doing so, Harvey is able to distinguish sport from all other human activities, identifying it as a set-aside sphere in which the unnecessary-but-meaningful nature of life is celebrated.